The Nigeria Police Force (NPF) has paraded two suspected criminals in Abuja after their arrest in Lokoja, the Kogi state capital, who reportedly named Senator Dino Melaye as the one who armed them with weapons ahead of 2019. Senator Dino Melaye might be in serious trouble after some notorious criminals arrested with dangerous weapons confessed that they are working for him. 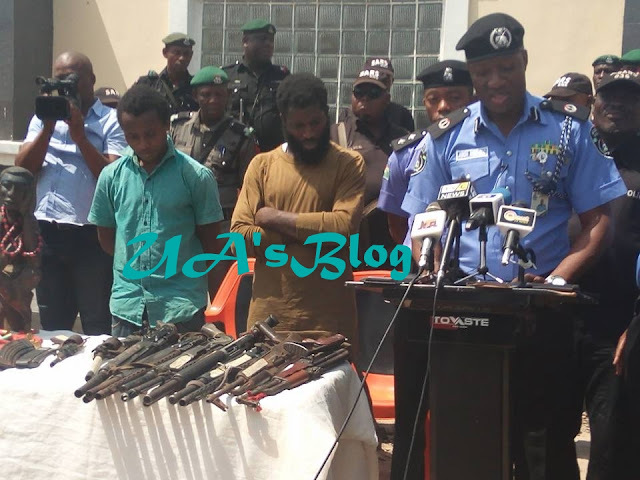 Two members of an armed gang terrorising Kogi State have been paraded by the Nigeria police on Monday in Lokoja. A statement by police spokesperson Jimoh Moshood said the suspects, identified as Kabiru Saidu and Nuru Salisu confessed to be working for Senator Dino Melaye. PARADE OF TWO (2) NOTORIOUS AND VICIOUS LEADERS OF POLITICAL THUGS GANG WHO ARE ALSO ON THE WANTED LIST OF THE NIGERIA POLICE FORCE IN THE LAST TWO YEARS FOR SEVERAL KIDNAPPINGS, ARMED ROBBERY, AND OTHER RELATED VIOLENT CRIMES TERRORIZING KOGI STATE AND ITS ENVIRONS IN WHOSE POSSESSION CATCHES OF FIREARMS, AND AMMUNITION, AND OTHER PROHIBITED LETHAL WEAPONS WERE RECOVERED BY ACP JIMOH MOSHOOD, FORCE PUBLIC RELATIONS OFFICER AT THE KOGI STATE POLICE COMMAND ON 19THMARCH, 2018. 2. 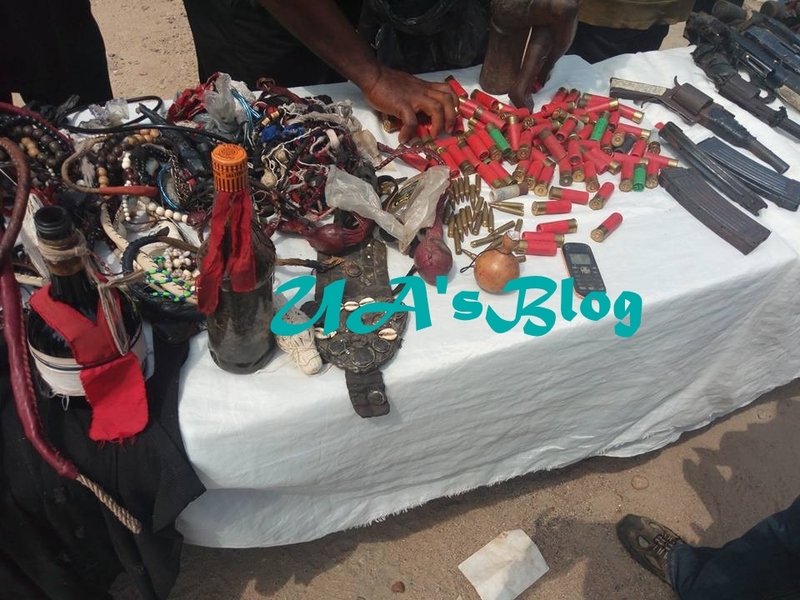 Working on actionable intelligence, the Kogi State Police Command personnel and Federal Special Anti-Robbery Squad trailed and arrested the two suspects listed above after a gun battle with the Police team that lasted for some hours on the 19th January, 2018 atOgojueje in Dekina Local Government Area of Kogi State. 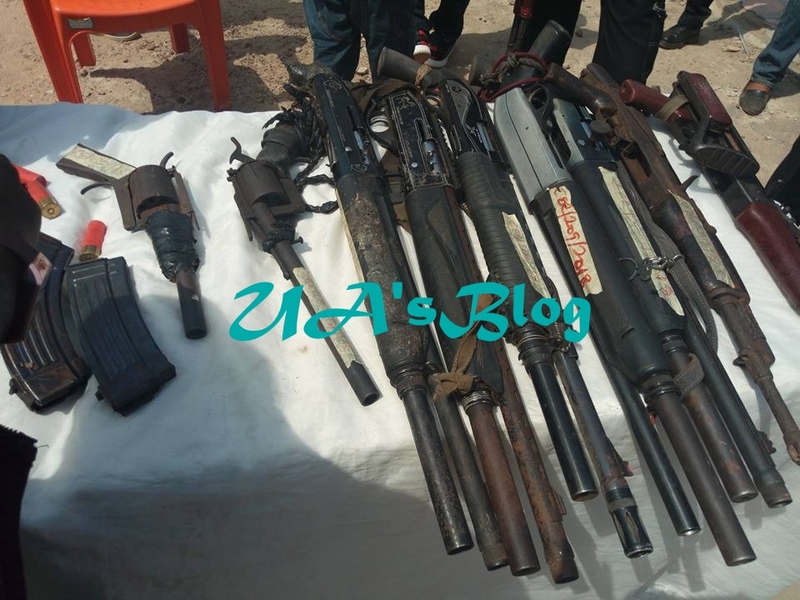 During investigation, they confessed to the various criminal roles they played in the commission of several kidnappings and Armed Robbery in different towns across Kogi State and its environs for which they have been on the wanted list of the Police for more than two years now. 3. During interrogation, they further confessed they were Political Thugs recruited by some mischievous Politicians in Kogi State to cause mayhem, and disruption of peace, and destruction of lives and property in the State. 4. According to the gang leader KABIRU SAIDU a.k.a OSAMA “31 YRS” he has been working as a Political Thug for one Alh. Mohammed Audu a Politician in the State. They said Alh. Mohammed Audu invited him to Abuja and introduced him to Senator Dino Melaye and they met on Airport road, Abuja inside the Senator Dino Melaye’s Car in the month of December, 2017. 5. The gang leader KABIRU SAIDU a.k.a OSAMA “31 YRS” further confessed to the Police investigative team that Senator Dino Melaye handed over a bag containing the following firearms one (1) AK47 rifle, two (2) Pump Action guns and the sum of four hundred and thirty thousand naira N430,000.00 to share with his boys. 6. Consequent on the indictments and criminal confessions against Senator Dino Melaye by the principal suspect KABIRU SAIDU a.k.a OSAMA “31 YRS” Nigeria Police Force, wrote a letter dated 2nd of March, 2018 addressed to the Senate President, Federal Republic of Nigeria informing and requesting him to release Senator Dino Melaye to report to Commissioner of Police, Kogi State Command on the 7th March, 2018 to answer to criminal offences levelled against him, to enable the Police carry out a discreet investigation into the confessions of the principal suspect against Senator Dino Melaye. But Senator Dino Melaye have refused to honour the Police invitation till date. 7. A case of Criminal Conspiracy and unlawful possession of prohibited firearms have therefore been filed by the Nigeria Police Force at Federal High Court Lokoja on 16thMarch, 2018 against the two suspects mentioned above, Senator Dino Melaye and Alh. Mohammed Audu who is also a suspect in the matter and is now on the run. 8. The renewed commitment of the Nigeria Police Force to sustain the tempo of the fight against kidnapping and other violent crimes in the country and guarantee protection of Lives and Property remains unequivocal and unwavering.